BUCYRUS ­­­— Two Galion men were sent to prison this in Crawford County Common Pleas Court. 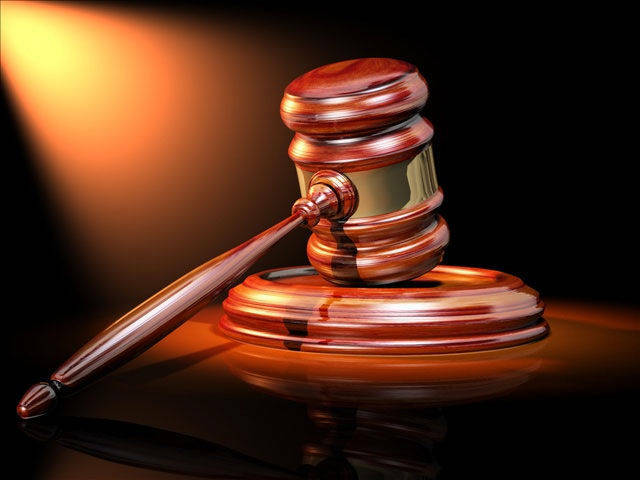 Robert Fulker, 52, of Galion, pleaded guilty to three counts: possession of marijuana, illegal cultivation of marijuana and possession of drug paraphernalia. He will serve 24 months in prison. Fulker explained that he had been sick and became addicted to opiates. In an effort to try to get off the opiates, Fulker took up marijuana. Gary Fox, 46, of Galion, was sentenced to eight months in prison after pleading guilty to possession of drugs. When asked if he had anything to say, Fox told the court that the arrest had saved his life. “You look the best you have ever looked. It sounds like you’re getting it together,” Leuthold said. “You even sound more intelligent as opposed to when your mind is scattered because you’re high. Even the haircut looks good on you. All this can stop. Stay clean. Stay sober. I wish you good luck”. Fox will receive credit for time served. He was ordered to forfeit all drug-related property to the Galion Police Department. Travis Tolar, 37, of Galion, pleaded not guilty to violating his community control. Tolar reportedly stopped reporting to the probation department in July 2017 and also failed to report his residence and employment. Noting that Tolar had been “in the wind” for almost a year, Leuthold set bond at $50,000. Attorney Grant Garverick was appointed to represent Tolar. Sarah O’Hare, 37, of Nevada, was arraigned on charges of theft. She is accused of stealing goods and services while employed by Orchard Park Assisted Living in Bucyrus. According to Assistant Prosecutor Ryan Hoovler,O’Hare purchased food and other items on behalf of Orchard Park and added items to the bill paid by Orchard Park such as a vacuum cleaner and other items. She is accused of keeping those items or returning them for cash. Noting that O’Hare had no criminal record and an infant to care for, she was given a personal recognizance bond. She was terminated from Orchard Park and is ordered to have no contact with them. Johnny Stephens, 36, of Galion, appeared with his attorney Grant Garverick to argue for a reduction in his bond. Stephens, who faces a charge of trafficking in drugs, received an original bond of $150,000 from Leuthold. Garverick argued that Stephens was not a flight risk and that he would be permitted to reside with his parents if he received bond. Garverick noted that while Stephens did have a felony record, his last conviction was in 2010. Garverick argued that his client should be given a reduced or even a personal recognizance bond. Hoovler outlined Stephens’ lengthy criminal record, which included prison time and a total of four prior felony charges. Leuthold reduced Stephens’ bond from $150,000 to $100,000. Joshua Blankenship, 39, of Bucyrus was sentenced to 44 months in prison after he pleaded guilty to three counts of trafficking in drugs and one count of possession of drugs. Leuthold noted that a great deal of negotiations went into the deal and commended attorney Tom Nicholson by saying he had done a good job for his client. Blankenship will receive credit for time served in jail. He must forfeit all drug-related property to the Crawford County Sheriff’s Office. Bryan Hathaway, 32, of Bucyrus, is accused of violating his community control when he was involved in a domestic violence incident on June 4, had possession of marijuana and tested positive for marijuana on June 6. Hathaway was on judicial release at the time he was charged. Sebastian Berger was appointed to represent him and bond was set at $100,000. Matthew Strause, 39, of Bellevue, reportedly missed his office visits, failed to report his address and employment information to his probation officer, threatened a person and had possession of a knife. He was also found in Florida without permission from his probation officer. Other violations included possession of drugs and drug paraphernalia. Hoovler made a plea for a high bond because Strause was a flight risk. Leuthold set bond at $150,000 and appointed attorney Adam Stone to represent Strause. Rebekah Katelinikoff, 33, of Crestline, will spend the next six months in prison after pleading guilty to violating her community control. As part of the prison sentence, a charge of domestic violence brought by Prosecutor David Keller of Crestline was dropped. Katelinikoff will receive credit for time served in jail.